Nicola’s top tip for authors: Just keep writing! Try out different genres and different writing styles until you find your perfect fit. Take on board feedback, but don’t let criticism define you and don’t let it shape your writing unless you want it to. Write for the joy of telling a story, write because you have a need to share a story with the world. Why do you write? Because it’s addictive! I love to tell stories and I love to read stories and I love the thought of other people consuming my work! What would you be doing if you weren’t a writer? Probably teaching. I did half of my teaching diploma at uni when I was completing my BA with the intention of becoming a high school English teacher – but I didn’t follow through because my writing ended up consuming me! What was your toughest obstacle to becoming published? Fear and self-doubt. I procrastinated sending my first manuscript off to an agent because I was terrified of what would happen if they hated it. What’s the best aspect of your writing life? The fact that I’m doing what I love and the flexibility it provides me to spend time with my family. —the worst? The continued fear and self-doubt! Any time I receive a bad review or a rejection letter or even if I just find myself stuck and can’t get any words written on a certain day, the insecure person inside comes out to tell me I can’t do it and to just give up. But luckily perseverance and a glass of wine usually sees me through and I can silence the inner critic! What would you do differently if you were starting out now as a writer? I don’t think I’d change too much – I’m pretty happy with how my journey has progressed so far, but maybe I’d spend more time researching before writing that first book? Although then again, perhaps that would be a mistake and would just turn into another way to procrastinate! What do you wish you’d been told before you set out to become an author? That it will never be enough. For me, I’m always striving for that next goal and each time I think it will bring me satisfaction. i.e. landing an agent, landing a publisher, your first great review, your first sale, your next book deal, your first overseas book deal. You always think the next step is going to be the one that makes you feel like you’ve made it… but I’m beginning to wonder if I’ll ever have that complete sense of satisfaction. Then again, maybe that’s a good thing. Maybe if I felt completely satisfied, I’d stop trying to be a better writer. What’s the best advice you were ever given? Caroline Overington told me to read bad reviews of my work out loud in a silly, loud, over the top voice until it makes me fall about laughing. I absolutely love that advice! Joni, Deb, Eden and Trina try to catch up once a year for some days away together. Now in their thirties, commitments have pulled them in different directions, and the closeness they once enjoyed seems increasingly elusive. This year, determined to revive their intimacy, they each share a secret in an anonymous letter to be read out during the holiday. But instead of bringing them closer, the revelations seem to drive them apart. Then a fifth letter is discovered, venting long-held grudges, and it seems that one of the women is in serious danger. But who was the author? And which of them should be worried? 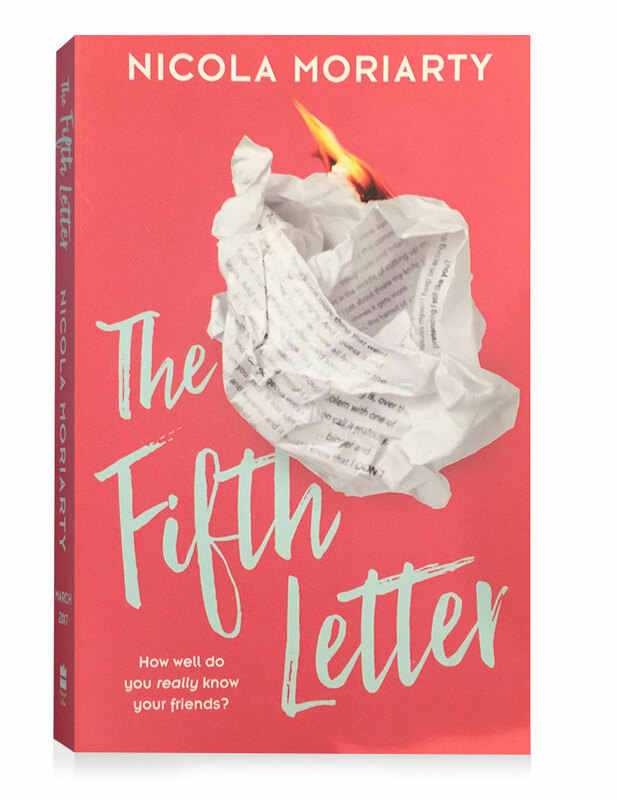 THE FIFTH LETTER examines the bonds of women’s friendship groups, and the loyalty and honesty they require. It looks also at the pain of letting go of obsessions and relationships that once seemed essential but have hollowed and withered. The book will be released in January. It is available for pre-orders from Booktopia and Amazon. Sian’s top tip: Don’t give up. Listen to and learn from the advice of people in the industry. Sian Turner spent a happy childhood growing up in Perth alongside her four siblings. Being part of a big family meant there was great company to share in imagination games, freedom to roam streets on bikes, and plenty of time to read books in the branches of a jacaranda tree in the backyard. Sian discovered she loved writing in primary school. She thrived on encouragement from teachers, and success in the CBCA Make Your Own Storybook competition. 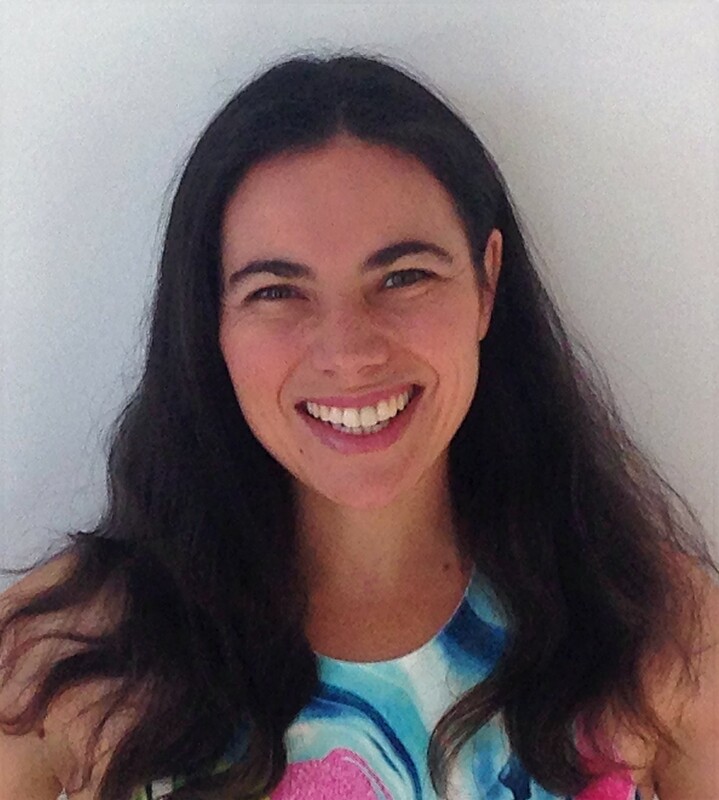 She carried this love through to her first career of physiotherapy, completing both an Honours degree, and a PhD while working on the busy wards of Sir Charles Gairdner Hospital. Sian and husband James moved to the coastal town of Albany in 2007, where they have delighted raising their three children and tending a beautiful garden on their property. With this new chapter in her life, Sian has been excited to return to writing fiction – stories which she hopes will inspire and entertain this next generation as great books encouraged her when she was young. 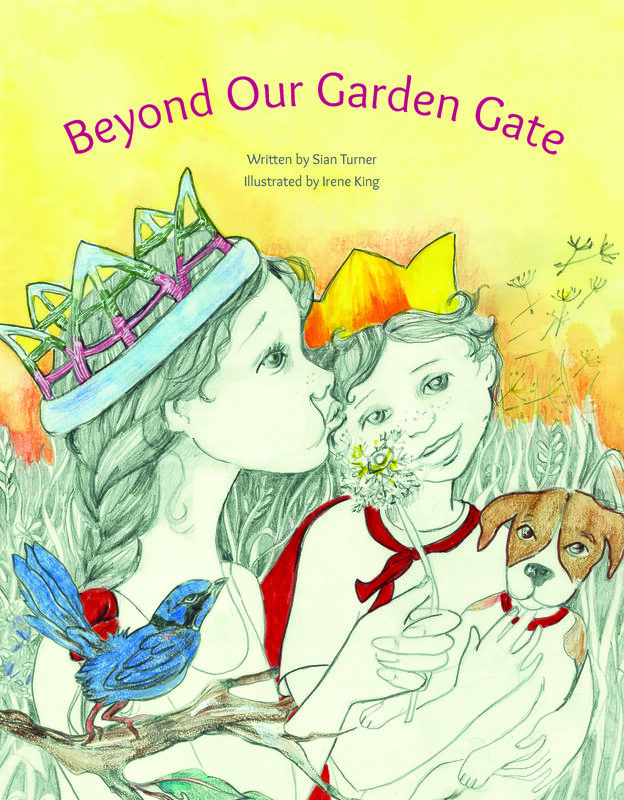 Beyond Our Garden Gate is her first published story. She is looking forward to the release of a second book with Wild Eyed Press in 2017. The NSW Education Department’s School Magazine is also publishing a couple of her pieces next year. Why do you write? I get great satisfaction playing around with words and ideas and seeing these evolve into stories. It’s addictive. The more I sit down and put pen to paper, the more I crave these opportunities of focus. What would you be doing if you weren’t a writer? I’m a mother to three young children so I’m very busy in this role. 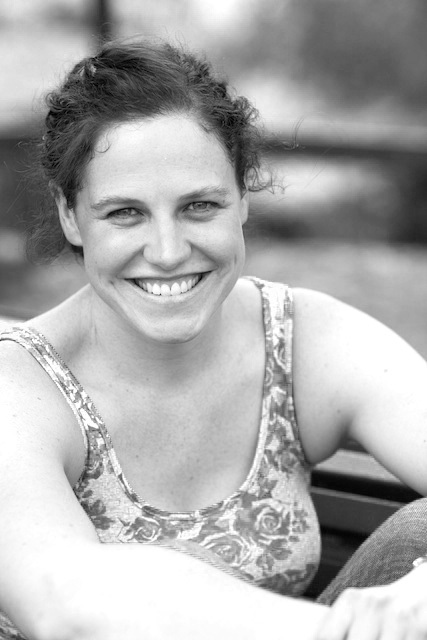 Before the kids, I was a physiotherapist and active in both research and clinical roles at a major teaching hospital. I don’t think I’ll return to physiotherapy as a profession though, I’m enjoying writing too much, and have opportunities to develop our garden and property into bed and breakfast accommodation in the future. What was your toughest obstacle to becoming published? Time and self-doubt following rejection letters. How involved have you been in the development of your book? Did you have input into the illustrations? Because the manuscript is written from the children’s imagination, I was able to provide a guide of what I envisaged the children were doing in the real world to accompany the story. What’s the best aspect of your writing life? Being able to escape into the worlds of my characters and watching them grow as the story twists with time. —the worst? Having to come up to speed with social media! What would you do differently if you were starting out now as a writer? Have a more organised filing system … it’s improving. What do you wish you’d been told before you set out to become an author? Don’t get too over-enthusiastic with your first story drafts. Sit on them for a while before showing anyone. What’s the best advice you were ever given? As above – file your stories away for a while before sending them off. A fresh glance a few months later can make the world of difference. Prince Tom and Princess Molly must climb, run and fly to save their friend from a dragon. Sian Turner’s story of an adventurous day in the Australian Bush comes to life with Irene King’s playful illustrations. Winfried’s top tip: If you want to do it commit to it, don’t go in halfhearted or you’ll be setting yourself up for failure and disappointment. If we are committed we do whatever it takes to succeed; we learn, adapt, do as many rewrites as we need to until we get the result we want. We learn how publishing works, and how to build a following. If we don’t commit then when the going gets tough we are far more likely to bail. Dr Winfried Sedhoff is a physician with a special interest in mental health. 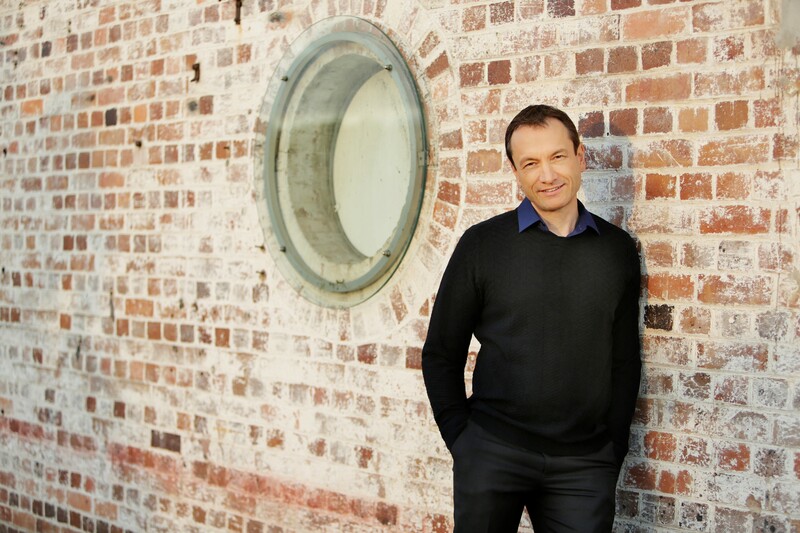 Born in Germany he grew up in Albury, NSW and graduated medicine from the University of New South Wales in 1987. In his early twenties and barely two years after graduating, having endured many years of intermittent depression – especially at high school and university – Winfried suffered a life-threatening personal crisis. Forsaking all he believed, including a promising specialised medical career, he spent twelve months in self-imposed isolation in a small rental unit in Sydney and began an internal quest to find himself, and a sense of unquestionable truth. His success has allowed him to create a life that has been both personally satisfying and feels his own. He no longer suffers depression. More than twenty years later his personal realisations form the foundation of models and ideas that are successfully helping patients overcome depression and anxiety, and develop a true and honest sense of authentic self. Writing gives me time to reflect on how people and events of my past helped to shape the person I am today – it helps me resolve long-held fears, and grow from disappointments and heartaches. When I write I reflect. Writing also gives me the wonderful opportunity to share with people, other than just patients I meet as a GP (General Practitioner). Like many others I’d like to think I can help make the world a better place, even if it is in just a small way. What would you be doing if weren’t a writer? Probably more work as a counselling GP. Maybe run more seminars to help people overcome mental illness, teaching them skills to live more fulfilling, meaningful, lives. It’s hard not to see myself writing though. What was your toughest obstacle to becoming published? Getting published wasn’t that hard. I decided early I’d self-publish my first book so I could set the tone, content and agenda. This was in the non-fiction, self-help genre. There are many self-publishing options these days making getting published pretty easy. Getting a publishing contract with a publishing house – where they foot the bill – is much harder. For instance, in the self-help genre I learnt that unless you are already well-known, or have a large media profile such as a large regular social media following, the main houses aren’t that interested, and neither are the agents that submit to them. What are the best and worst aspects of your writing life? The best part is hearing how my words have helped improve someone else’s life, and being able to listen to other people’s stories. Writing stimulates conversation, and a willingness in others to want to share their tale. I have had the privilege of being able to meet many amazing and resilient people with wonderful inspirational tales to tell. The worst part, since I write part-time, is not catching up with friends as much as I know I should. Thankfully, they are very understanding. What would you do differently if you were starting out now as a writer? Seek the help of a professional editor really early. As I was struggling to find my voice I found it hard to know if I was on the right track, and where I needed to improve. Family and friends, I discovered, aren’t much help; they aren’t in the industry, and don’t know the standard we need to achieve. I have found contact with editors invaluable. What do you wish you’d been told before you set out to become an author? Be patient, and never give up. Writing takes time and perseverance. It’s very rare we achieve our objectives as early as we’d like. It’s important to remember there will be times where we will probably cry in frustration and with a deep sense of hopelessness – I’m not good enough, it’ll never come together! This isn’t the time to throw in the towel. The lesson I learnt about what distinguishes a writer from a failed wannabe writer is the writer struggles on, no matter what. It’s 2016, so why are women still treated as second class citizens? That’s the question asked by Dr Winfried Sedhoff in his new book, The Fall and Rise of Women. 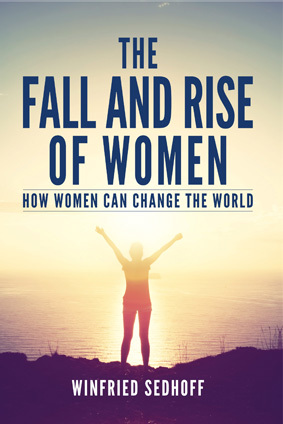 Thought provoking and empowering, The Fall and Rise of Women shows how to regain your transformational power, improve your life, and help change the world.